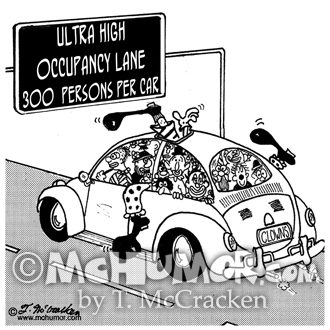 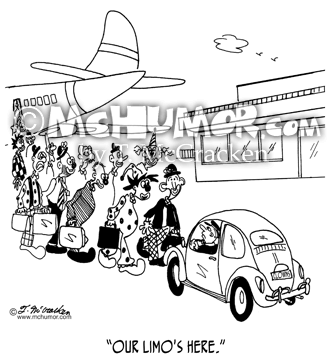 Traffic Cartoon 4796: A VW overflowing with clowns driving in an "Ultra High Occupancy Lane, 300 Persons per Car." 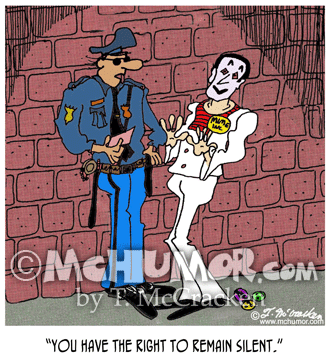 Corporation Cartoon 4756: "A Dummy Corporation." 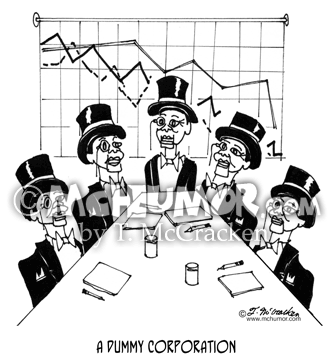 A board of directors made up entirely of ventriloquist dummies. 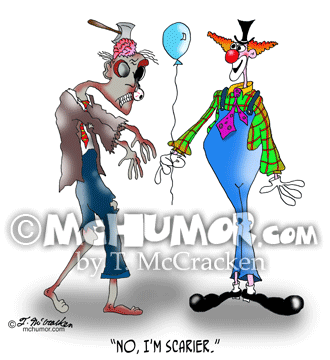 Zombie Cartoon 9373: A clown says to a zombie, "No, I'm scarier." 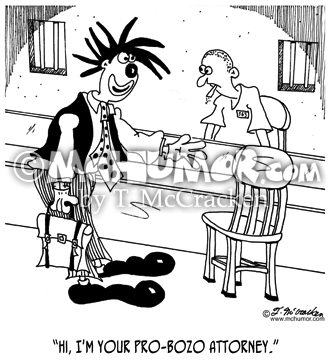 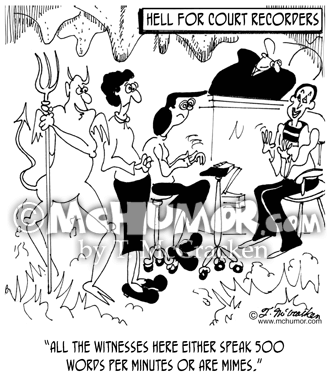 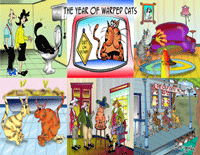 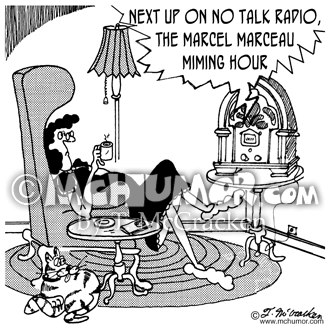 Radio Cartoon 4997: A Dee Jay saying, "Next up on No Talk Radio, the Marcel Marceau Miming Hour." 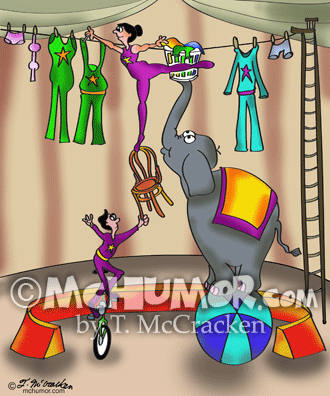 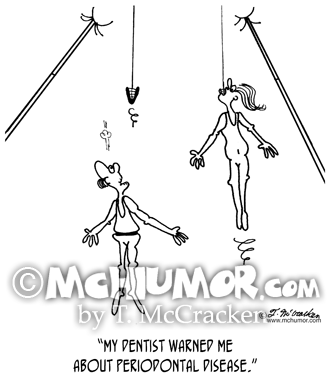 Dental Cartoon 8894: An acrobat holding on by his teeth from a trapeze falls and says, “My dentist warned me about periodontal disease."